Turkey has urged the European Union that a potential influx from the Idlib province of Syria would also reach the European continent. “At a moment when we have already been hosting millions of refugees, a new influx of tens or hundreds of thousands of people towards Turkey would lead to different complications. 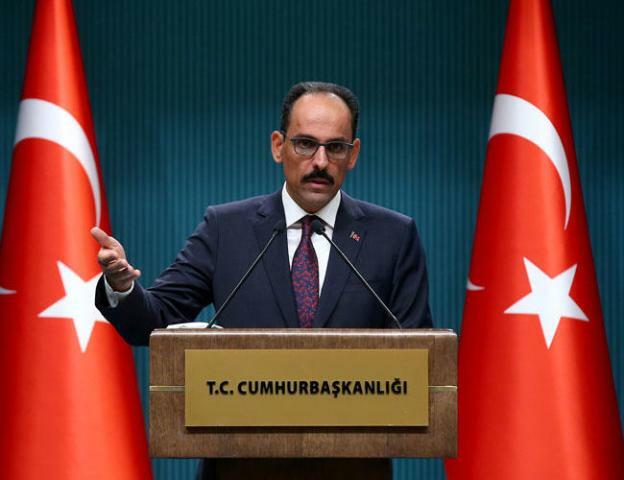 Its effects will not only be observed in Turkey but will spread to Europe and other countries,” presidential spokesperson İbrahim Kalın said during a press conference following the weekly cabinet meeting late on Sept. 11. Turkey publicly calls on the whole world, including Western countries, the United States and regional countries to act in coordination and prevent any possible attack in Idlib, the spokesperson said. He also noted all parties should display a constructive role and agree on a political solution that will eliminate all problems regarding Idlib. Ninety-nine percent of causalities in Syria are caused by conventional arms and those statements mean they will interfere in killing only if conducted by chemical weapons. On his Twitter account on Sept. 12, he continued criticizing the U.S. statement that Washington would respond to any chemical attacks by the Syrian government or its allies. This statement is “meaningless and has no deterrence,” Kalın said. Hundreds of thousands of people were killed in Syria with conventional weapons and it is essential to prevent any kind of killings, he said. Any attack in Idlib will cause a humanitarian disaster, migration wave and harm efforts to find a political solution in Syria, the spokesperson said. Representatives from Turkey, Russia, France and Iran will meet in Istanbul on Sept. 14 and discuss recent developments in Syria and efforts for a political solution.